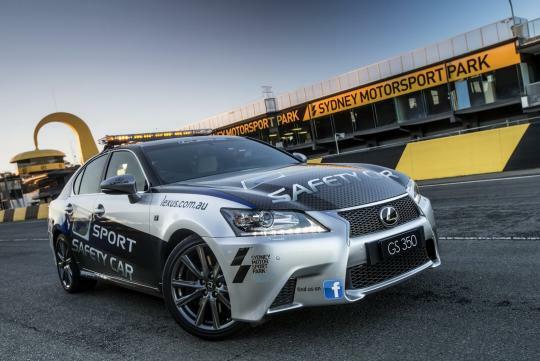 A new Lexus GS 350F Sport will now be a permanent safety car at the Sydney Motorsport Park. "There have been many changes here at Sydney Motorsport Park in the last year and we are pleased that Lexus has decided to maintain its long-standing relationship with us," said Glenn Matthews, CEO of Sydney Motorsport Park. �The GS 350 not only looks fantastic, but the feedback I�ve had from the drivers is that it�s a really enjoyable vehicle to drive,� he added. Lexus Australia chief executive Tony Cramb said that Lexus' ongoing relationship with Sydney Motorsport Park made it the ideal platform to showcase Lexus� performance credentials. 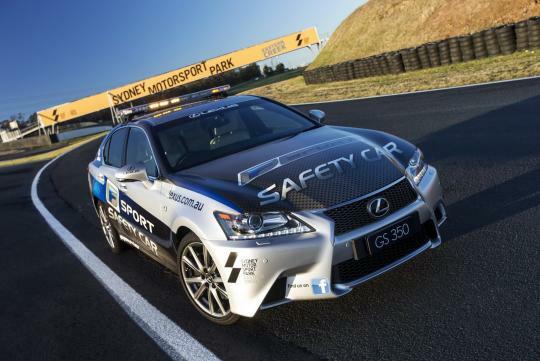 �The GS 350 F Sport is the ideal vehicle for safety car duties, possessing all the power, handling and comfort requirements the team at Sydney Motorsport Park need,� said Mr Cramb. Driving force for the GS 350 is provided by a 3.5-litre V6 petrol engine producing 306bhp capable of completing the century sprint in 6 seconds. As a safety car, the GS 350 F Sport comes loaded with Lexus dynamic handling system, four piston caliper brakes, four-wheel Anti-lock brakes and Electronic brake force distribution. The GS 350 F Sport will start its tour of duty with the 2012 Muscle Car Classic come 1 September 2012. According to Mr Cramb, the GS 350 F is just one of 11 F Sport models that Lexus will offer in Australia by the end of the year.